Born in Straelen, Germany, Ursula Heffels-Redmann studied veterinary medicine at the University of Veterinary Medicine, Hannover, Germany from 1973-1978. In 1980 she received her doctor of veterinary medicine degree, and after four further years as postdoctoral research fellow and scientific assistant at the Clinic for Poultry of the University of Hannover, she completed her formal veterinary education by becoming a specialist in poultry veterinary medicine in 1985. In 1986 she followed her doctoral adviser, Prof Erhard F Kaleta, to the Justus Liebig University of Giessen, where she has worked since then as researcher and lecturer at the Clinic for Birds, Reptiles, Amphibians and Fish. Her research work has concentrated on virus infections of birds and on the host immune response. She is presently a member of the group working at this clinic on avian bornavirus, which was first detected in 2008. 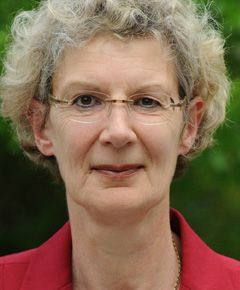 Since 1988, she has served on the Organising Committee of the well-known international symposia on infectious bronchitis and pneumovirus infections, as well as those on infectious bursal disease and chicken infectious anaemia, which take place at two yearly intervals in the Castle of Rauischholzhausen, the conference centre of the University of Giessen. Following her election at the AGM during the XIIth WVPA Congress in Cairo, Egypt in 2002, Ursula was Secretary/Treasurer of the WVPA until 2011. In recognition of her long and valued service in this position, she was appointed as Honorary Life President of the WVPA in 2011. From 2003-2008, she was responsible for the German translation of the abstracts of the papers published in Avian Pathology. Since 2011, she has also been a member of the Advisory Board of this journal. Besides her work, Ursula is interested in music, dance and theatre as well as painting. She loves travelling around the world, but also inviting friends and cooking for them at home; her desserts are especially highly appreciated. Since 1984, Ursula has been married to Thomas Redmann, also a poultry veterinarian. Their daughter Anne was born in 1988.